Coffee is the go to drink for millions of people each morning. Its aroma fills the air in coffee shops-- and homes-- all over the world for eager people awaiting their daily pick me up. Coffee is a fantastic drink-- and you can customize it in so many different ways. Some people like it black, some like it cold, and some like it with steamed milk and flavors. However you take your coffee, you should be aware of the damage it can do to your teeth. Not only can it stain it over time, but it can also do some more serious internal damage to your pearly whites. We all want to keep our teeth healthy-- and white-- which is why we put this article together. Follow these 10 tips and you’ll be keeping your teeth as white and healthy as they can be! This is a great idea if you’re looking to cut back on sugar and calories. If your weaknesses include pumpkin spice lattes and caramel macchiatos, then this hack is most important for you. A 16 oz. cup of a Starbuck’s Caramel Macchiato has 250 calories and 33 grams of sugar. When you see it written out that way, it can seem kind of stunning! Do your teeth a favor and get a smaller size whenever possible. It’s important to treat yourself once in a while, but not at the expense of your teeth. Size matters when you’re considering the amount of sugar and calories in your coffee drink. Some people just take their coffee with sugar or a dash of cream-- but others like to have a load of toppings on top of their coffee favorites. Do yourself-- and your teeth a favor and skip the extras. This means whip cream, sprinkles, syrup drizzle, and caramel drizzle are all add ons that are just not needed. Enjoy the aroma and the flavor of your coffee without all the additional stuff. All these toppings add an unbelievable amount of sugar to your drink-- a small drizzle of caramel can add an extra 2g of sugar. That’s a lot of sugar for your teeth to handle. Keep your teeth strong and avoid the increase in sugar. If you’re someone who has to have their cup of joe each morning-- you’re going to realize that eventually-- it’s going to start staining your teeth. Not only does this affect your smile and your breath, it also affects your teeth. Stained teeth are something nobody wants to have, so reduce it-- or at least slow the staining process down-- with a straw. 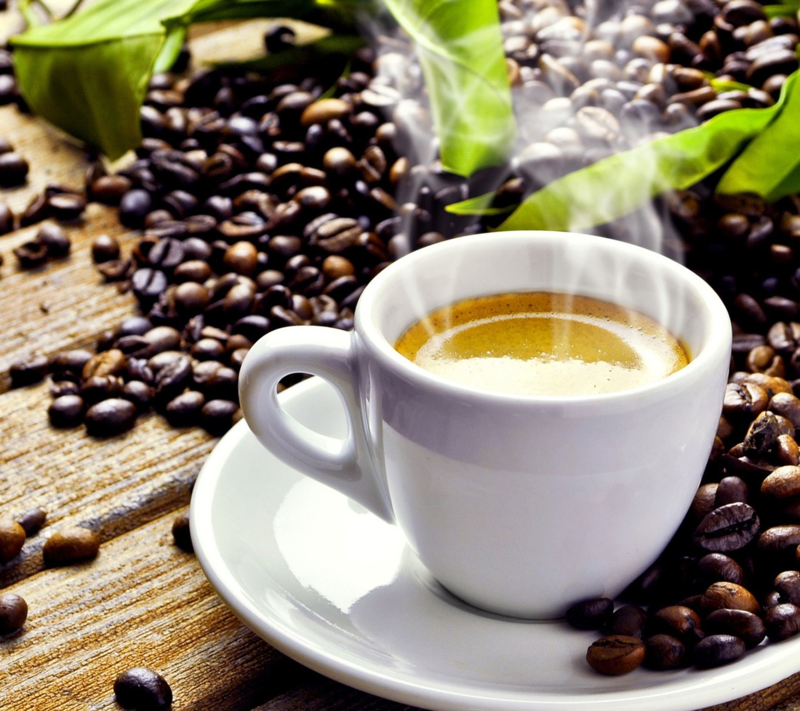 By reducing the contact the coffee has with your teeth, you can limit their exposure to the dark liquid. Just grab a plastic-- or reusable-- straw and put it in your favorite coffee cup. This may seem like a no-brainer, but a great way to prevent tooth damage-- as well as limit annoying stains-- is to brush your teeth after your coffee. Sometimes this isn’t always an available option, but try to make this happen as much as you can. Brushing your teeth will help remove any recent stains from the cup of coffee-- and will help the rest of your mouth stay fresh as well. This will also help with the dreaded coffee breath that is bound to happen after your java! Try to brush your teeth after finishing up your coffee. If you like syrup in your coffee drinks, you should be aware of the amount of sugar that they contain. We all like a sweet coffee drink once in a while-- but the next time you order, try to eliminate or at least lessen the syrup pumps. Just one pump of a flavored syrup into your drink can add 5g of sugar. The amount of pumps of syrup in a large coffee can be up to and including 5 pumps-- which would mean there is 25g of sugar in your coffee! That is the recommended daily sugar limit for a woman-- all contained in one coffee. The damage that amount of sugar can do to your teeth goes without saying. The next time you order, try to decrease the amount of syrup pumps you put into your drink. By doing so, you’ll drastically reduce the amount of sugar that can damage your teeth. Carrying a Brushee with you is a great way you can prevent coffee damage to your teeth when you’re on the go. After your coffee, you might not have access to your toothbrush, toothpaste, and floss. With Brushee, you get all that in one convenient package-- which is dentist approved-- and can easily be stored in your purse or backpack. Prevent coffee stains and damage before they have a chance to settle in, and use your Brushee after you’ve enjoyed your last cup of coffee. Brushee will also help reduce the coffee breath that happens afterwards as well. Mints or gum can’t do that! Some people might think that by adding cream and lighting the color of the coffee-- there is less of a chance for staining. Don’t be fooled by this logic-- cream as well as sugar-- are just extras you’re adding into your drink. By changing the color, you aren’t changing the damage you’re doing to your teeth or preventing staining in any way. As we mentioned above, extras may enhance the flavor of your coffee-- and who doesn’t love adding some pumpkin spice flavored cream to their drinks in the fall-- but they also increase the sugar as well. 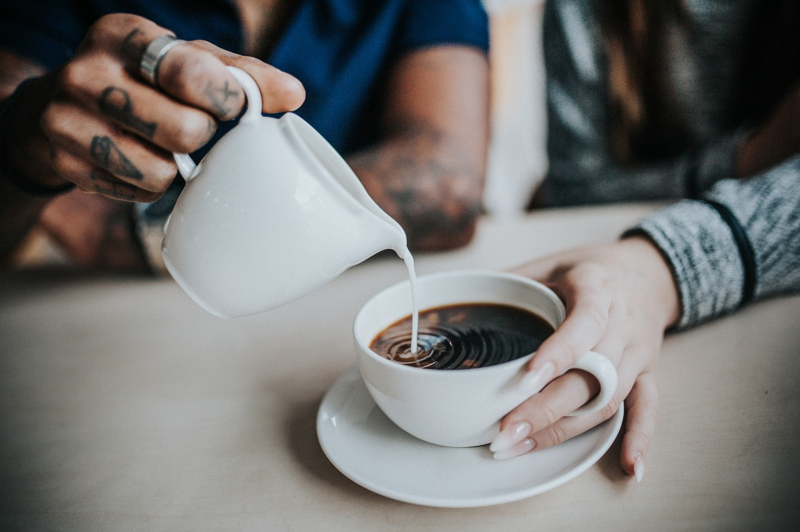 It will be better for your teeth to drink your coffee black, but if you must add some cream, stick to skim or whole milk instead of flavored creamers. The color of your coffee doesn’t lessen the impact that it can have on your teeth. Keeping up with your twice a year dental visits is a great way to make sure your teeth are their best. This is also standard practice for ensuring proper oral health in maintained as well. Your dentist will be able to remove any build up of plaque and stains that have accumulated over the past couple of months. They will also be able to identify any places in your mouth that are showing signs of damage-- such as tooth decay, cavities, or gum sensitivity. If you catch these problems early, you and your dentist can work out a way to treat the problems effectively. When trying to protect your teeth from stains or sugar damage, stay away from sipping on coffee all day. Try to limit your cups to a certain time of day-- for most people this is the morning-- and then stop. This will also help you keep tabs on your caffeine intake, which shouldn’t reach excessive levels. Having a specific time to enjoy your coffee will help limit your teeth’s exposure to it, and prevent more severe staining. If you take cream and sugar in every cup, it it will also not only cut down on the amount of sugar you’re consuming-- but will limit the damage this sugar is doing to your teeth. 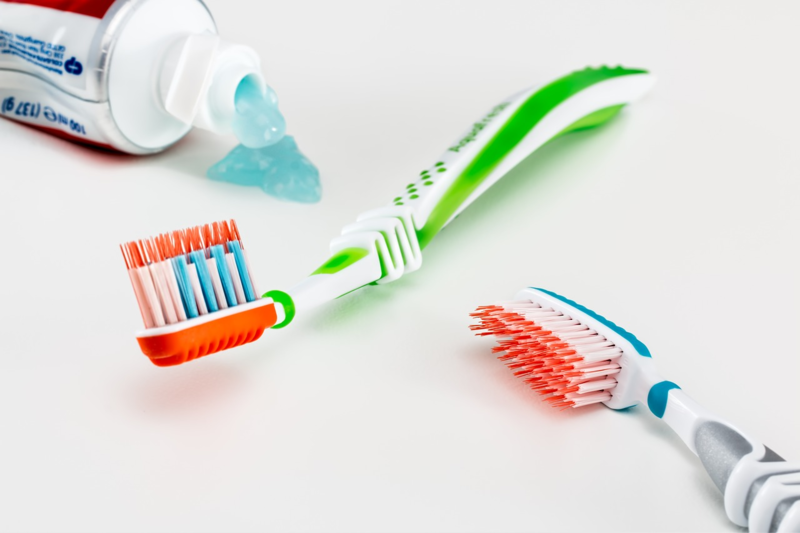 If you’re really concerned about the stained teeth that can come from coffee consumption-- or you just want a quick way to make your teeth whiter-- consider using some whitening products such as strips. There are lots of over the counter trays and strips-- as well as specific whitening toothpastes-- you can use to try and counteract coffee stained teeth. In-office dental whitening is probably the fastest and most effective way to get your teeth white in a hurry-- however it is the most expensive. Another option is your dentist can make a molded tray of your mouth where you can insert a whitening gel. This is quite effective since the tray is molded to your exact teeth-- and is not as costly as in-office bleaching. We all love our cup of morning java-- whether hot or cold-- it seems like it gives us the fuel to get going. But don’t let it damage your teeth in the process! With just a couple of adjustments, you will be enjoying your coffee guilt-free. What hacks do you use to prevent damage from coffee on your teeth? Let us know in the comments!